In the last few years Austerity Britain has generated a large number of judicial review challenges to public spending cuts, particularly against local authorities. Many cases allege that the public body has consulted unlawfully. The legal principles involved have been firmly established. However, in October 2014 the Supreme Court in R (Moseley) v Haringey LBC  1 WLR 394 added a new ingredient to the mix, and the courts are still in the process of working out the implications of that decision. that the product of consultation is conscientiously taken into account when finalising the decision. But the Supreme Court in Moseley went a stage further. It decided that a consultation concerning a Council Tax reduction scheme required Haringey to consult not only on its own proposals, but to provide a brief outline of the alternative options the Council had considered and the reasons for their rejection. The principle that a public body must consult on proposals which it has, itself, rejected has radical implications. Mosley has, on one view, changed legal landscape; and the courts are now wrestling with what this all means. The importance of Moseley is that anti-cuts campaigners often find the Sedley criteria works as a bit of a legal straightjacket. Many claimants are not hugely interested in debating the actual proposals that a public body puts forward for consultation. Instead, they are more concerned to argue the question of principle—that no service reductions are necessary and that the public body has failed to provide sufficient information to enable consultees to make a case for alternative proposals. That principle was powerfully confirmed by the Court of Appeal, just before judgment was given by the Supreme Court in Moseley. In the context of a commercial judicial review case, the Court of Appeal in Rusal decided that there is no common law obligation on a public body to consult on options it has discarded, reversing the decision of Philips J who had held that the Defendant had acted unlawfully in failing to do so. According to the Court of Appeal, a consultation process would be unfair for failing to set out alternative options only in exceptional cases. In Moseley itself the Supreme Court was considering a statutory consultation concerning a Council Tax reduction scheme. Lord Wilson (with whom Lord Kerr agreed) emphasised that fairness is a protean concept, but drew on the dicta of Lord Reed in R(Osborn) v Parole Board  UKSC 61  AC 1115. He observed  that fairness ‘is liable to result in better decisions, by ensuring that the decision-maker receives all relevant information and that it is properly tested’, that it avoids  ‘the sense of injustice which the person who is the subject of the decision will otherwise feel’, and that consultation reflects the democratic principle at the heart of our society. The critical factual point he stressed was that the Haringey consultation had proceeded on a positively misleading basis. The consultation document presented the proposed reduction in council tax support as if it were the inevitable consequence of the Government’s funding cuts, disguising the choice made by Haringey, itself, and misleadingly implying that there were no possible alternatives to that choice: see , , , . Lord Wilson suggested  that the driver for the Council’s approach was, perhaps, political. Somewhat delphically, he concluded  that ‘sometimes’ (particularly when statute does not limit the subject of the requisite consultation to the preferred option), fairness will require that interested persons be consulted not only upon the preferred option but also upon arguable yet discarded alternative options. Lord Reed’s approach in Moseley was rather different. He begins his judgment  by stating that he was, generally, in agreement with Lord Wilson, ‘but would prefer to express my analysis of the relevant law in a way which lays less emphasis upon the common law duty to act fairly, and more upon the statutory context and purpose of the particular duty of consultation with which we are concerned’; and went on to emphasise  that the appeal concerned a statutory duty of consultation. We agree that the appeal should be disposed of as indicated by Lord Wilson and Lord Reed JJSC. There appears to us to be very little between them as to the correct approach. We agree with Lord Reed JSC that the court must have regard to the statutory context and that, as he puts it, in the particular statutory context, the duty of the local authority was to ensure public participation in the decision-making process. It seems to us that in order to do so it must act fairly by taking the specific steps set out by Lord Reed JSC, in para 39. In these circumstances we can we think safely agree with both judgments. There is, therefore, at the very least, an argument that the Supreme Court split 3/2 in favour of Lord Reed’s analysis, and rejected the broader views expressed by Lord Wilson and Lord Kerr. Critically, the proposition that a public body must consult on proposals which it has, itself, rejected has radical implications. Mosley has, on one view, changed legal landscape; and there have been a number of recent decisions which provide useful guidance on its impact. In R(Robson) v Salford CC  EWCA Civ 6 (application for permission to appeal to the Supreme Court pending) the Court of Appeal took a restrictive line. The Court of Appeal said that Moseley is largely an endorsement at Supreme Court level of principles already established at the level of the Court of Appeal, and was based on the particular facts of Moseley, itself, that the consultation material conveyed a positively misleading impression that other options were irrelevant. Similarly, Mostyn J held in R (L) v Warwickshire CC  EWHC 203 (Admin) that Moseley did not radically recast legal principles, although permission to appeal is being sought. In R(T) v Trafford MBC  EWHC 369 (Admin) the claimant argued that the Moseley case meant that the Council had acted unlawfully in running five concurrent consultation exercises leading up to its budget setting meeting on 18 February 2015. The claimant tried to quash the budget by saying that the adult social services consultation breached Moseley—by failing to ask consultees whether they wanted an increase in Council Tax or to spend the Council reserves. Stewart J closely scrutinised Lord Wilson’s judgment and pointed out that Lord Wilson had said that, only ‘sometimes’ fairness will require that interested persons be consulted not only upon the preferred option, but also upon discarded alternative options. He then examined the authorities Lord Wilson discussed in his judgment, where the failure to spell out alternatives led to real unfairness. For instance, in R(Medway Council) v Secretary of State for Transport  EWHC 2516 (Admin) it was procedurally unfair for the Secretary of State to run a consultation process concerning the location of airports in the South East over the next 30 years in which he excluded Gatwick—as a result, the claimants would lose their only real opportunity to present their case for Gatwick, as an alternative solution at a later stage in the decision making process. Stewart J, therefore, decided that Moseley does not mean that Trafford’s budget process was unlawful, because they had not asked consultees about raising Council Tax or drawing on reserves, and dismissed the judicial review case. The Trafford decision (in relation to which the claimant is, again, seeking permission to appeal), therefore, strongly suggests that Moseley does not fundamentally re-write the law of consultation. But the debate about the scope of the Moseley judgment is far from over. 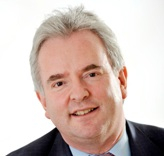 Richard Clayton QC represented the Council in the Trafford case. He practices at 4-5 Grays’ Inn Square and is the UK representative to the Venice Commission and an Associate Fellow at the Centre for Public Law, Cambridge University. (Suggested citation: R. Clayton, ‘Fairness, Consultation, and the Supreme Court: There Is (Sometimes) an Alternative’ U.K. Const. L. Blog (16th Mar 2015) (available at: http://ukconstitutionallaw.org)). This entry was posted on March 16, 2015 by Constitutional Law Group in Judicial review and tagged duty to consult, R (Moseley) v Haringey London Borough Council, UK Supreme Court.